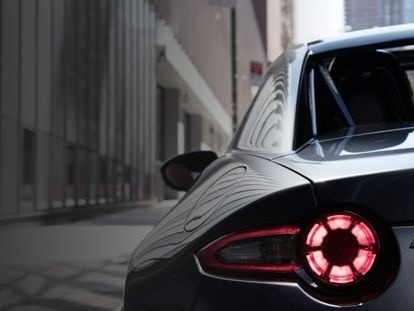 Your Mazda is designed to function best with factory approved parts, that’s why at Berwick Mazda, genuine parts are used to replace worn parts ensuring ‘original equipment’ quality is maintained the way Mazda intended. We also cater to all of your trade needs, stocking a large range of crash and mechanical parts. If these parts are not in stock we have the ability to order these in from other locations including Mazda Australia and Mazda Japan. Our department also stocks a large range of accessories. For any enquiries on parts or accessories please contact our department on (03) 8796 6222 or complete a parts online Enquiry Form below. Genuine Mazda Parts have Zoom-Zoom built into them. Every Genuine Mazda part has been manufactured to our original design and specification. In other words, they’re tried and tested so they fit your Mazda perfectly and are certified to meet the highest Mazda Engineering Requirements set by the factory in Japan. When we replace any part during the service program, you can feel totally confident your Mazda will perform exactly as it should. Almost all Genuine Mazda Parts come with a ‘Whole of Life’ Warranty, provided they’re fitted by an authorised Mazda Service Centre such as Berwick Mazda. You can’t get that peace of mind from anyone else.